I am a big fan of Hole in the Wall and most of the concepts in the first ever upscale food hall in Manila. However, I hardly visit Century City Mall as its location's a bit off from where I live. I make sure though that I pass by this picturesque dining hall every time I find myself in the area. 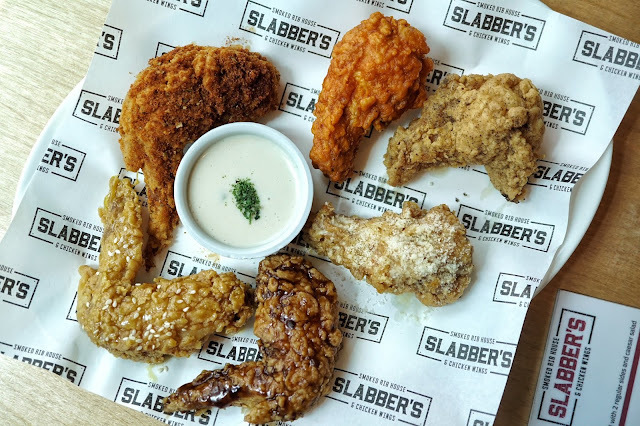 And for my latest visit, I tried one of its newest stalls, Slabbers. This new concept in Hole in the Wall opened last July and has been firing up some mean ribs and wings since then. 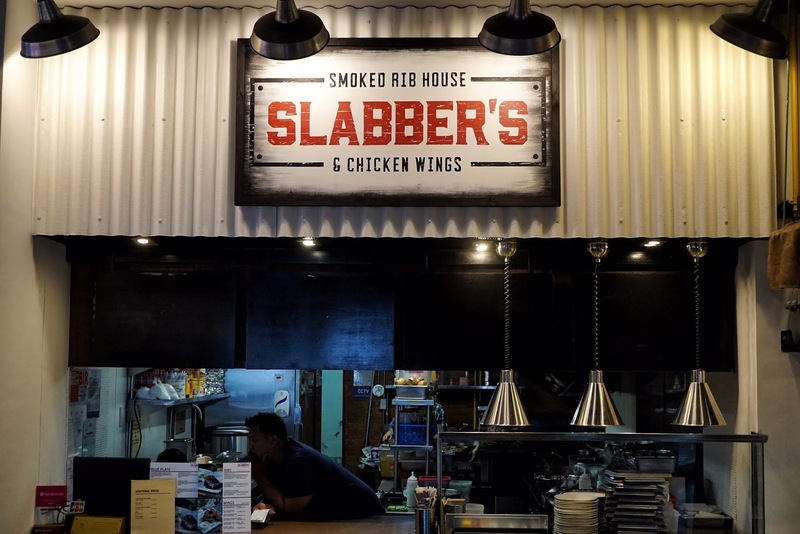 With its prime location near the entrance, it would be hard to miss Slabbers. With ribs and wings as its main offerings, expect a good selection of flavors for both. 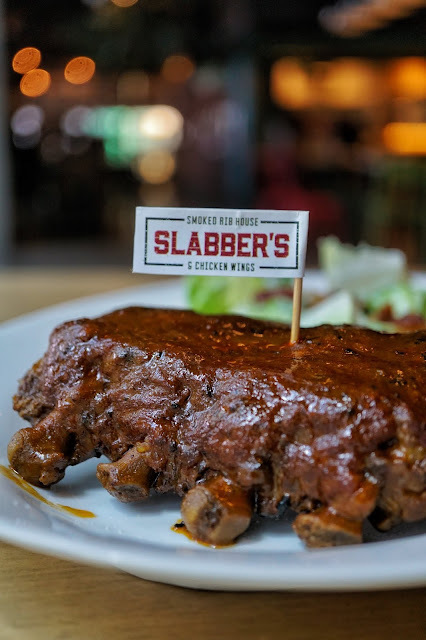 There are also platter options (available in solo, double and family) where you can try both ribs and wings in one plate. 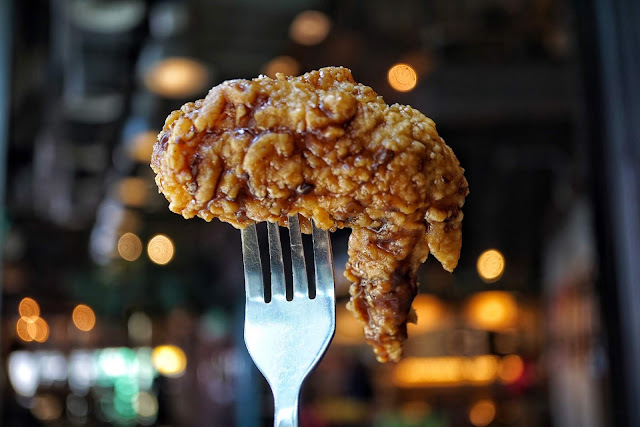 And what's ribs and wings without sides? 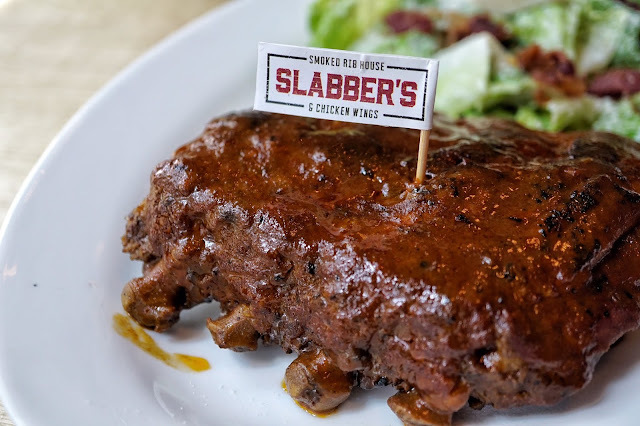 Slabbers has twelve (or 14 if you include plain and garlic rice)! 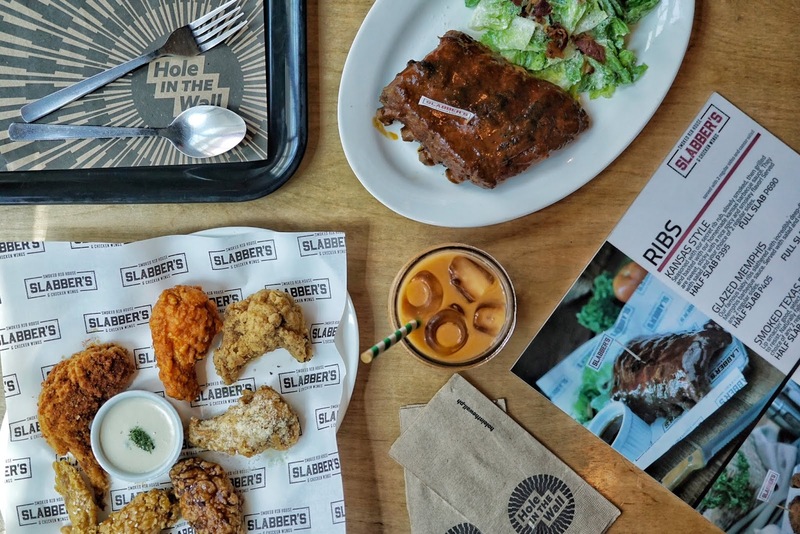 As first timer, I got to try Smoked Texas BBQ (PHP390, half slab | PHP680, full slab, comes with Caesar salad and two sides of your choice) and a platter of its Wings in assorted flavors (PHP199, half dozen | PHP379, 1 dozen). They prepare your food upon placing your order so expect to wait 10-15 minutes for your ribs and/or wings. I asked a Hole in the Wall server to get my order as I was dining alone and I had some bags with me. The server gladly took my buzzer and got back in 20 minutes or so. I'm just not sure if the delay was from Slabbers or if the server I asked to help me got busy. Since I was about to try a handful, I started with the lightest flavor and ended with the boldest. Salt and Pepper had a lovely crispy coating but it lacked flavor. 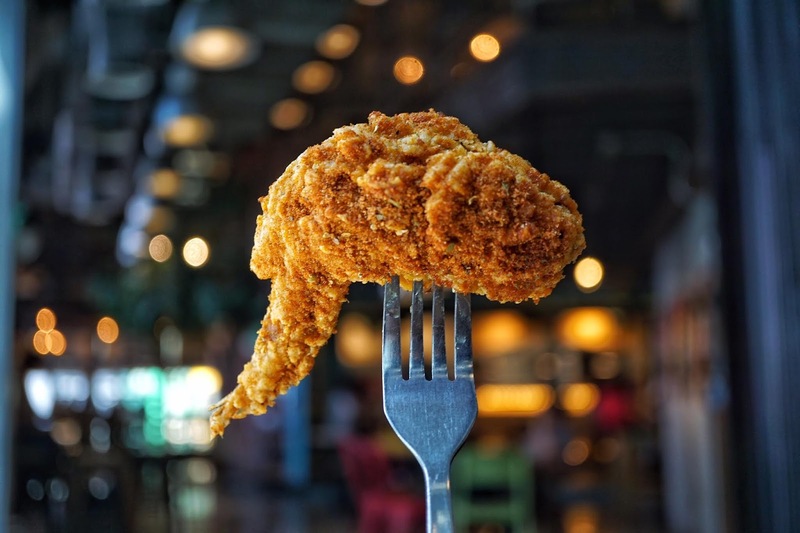 It tasted like fried chicken that missed being seasoned. Garlic Parmesan was pretty good as the sharp taste of Parmesan was evident in every bite. It would have been better if it had more garlic taste to it though for that nice contrast of flavors. Honey Garlic, just like Salt and Pepper, lacked flavor. The glaze was too light and you couldn't really tell its flavor. If you prefer something sweet, go for Teriyaki. It had that delightful sweet taste Filipinos love. This is best enjoyed with rice! 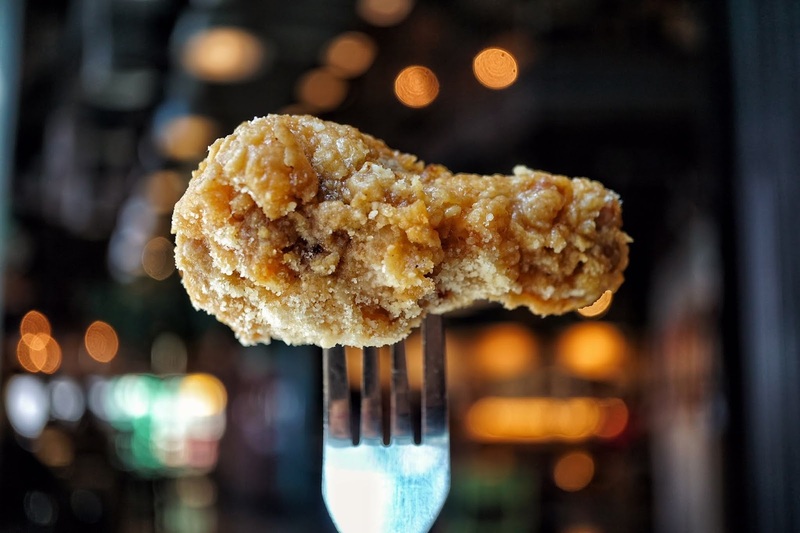 But if you prefer something spicy, Smoked Chicken Wings and Classic Buffalo Wings are perfect for you. 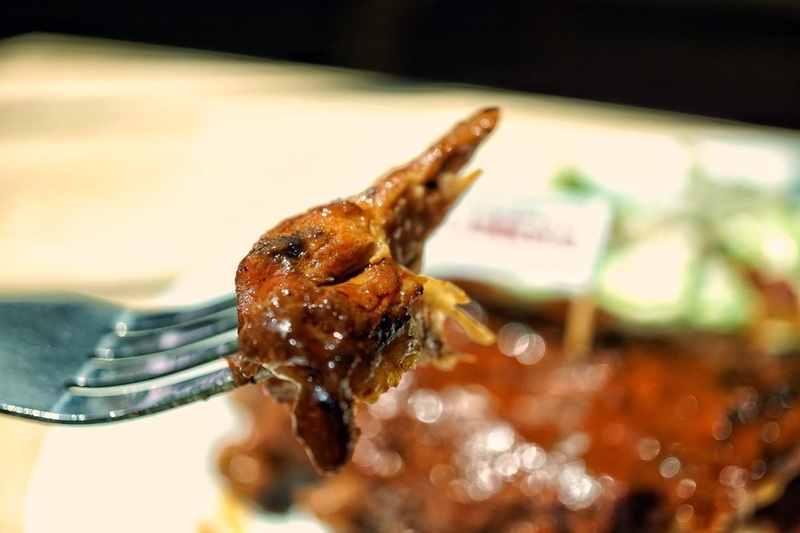 Just don't expect more than spice from Smoked Chicken wings as all I got was the taste of the different spices. I was hoping that it would have more than just spice as to make it more interesting. 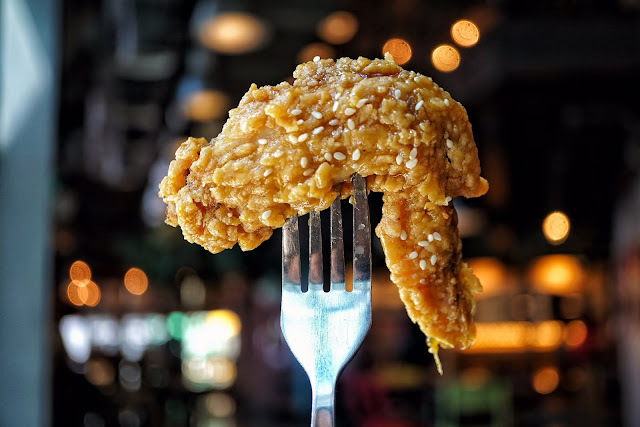 If you like complex flavors like I do, give Classic Buffalo Wings a try. 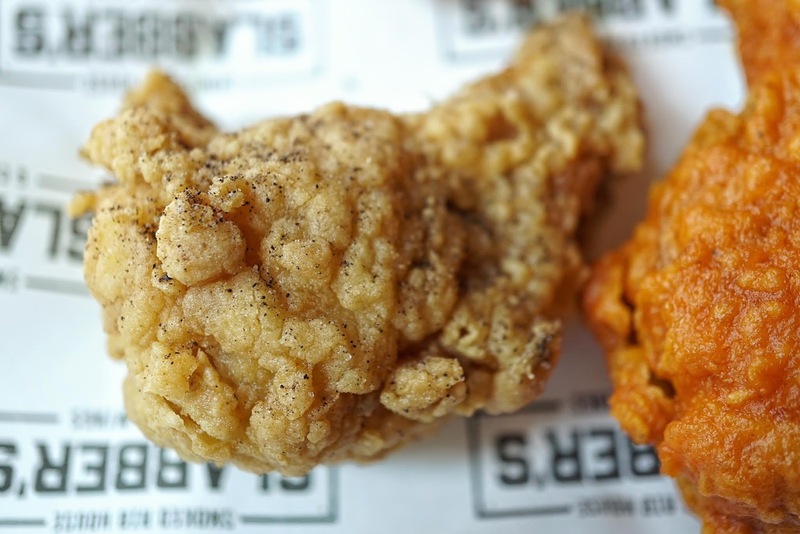 I'm not a fan of buffalo wings but Slabbers got theirs right and so good, I went head over heels in love with it! I also like that it's not crazy spicy! The ribs were great too! I love how tender it was and that I didn't even have to exert an effort to remove the meat off the bone. And as expected from Smoked Texas BBQ, it had that mild spice and tanginess that I find addicting! Bonus points for the crisp Caesar salad! The mashed potato (not in photo as it was served 10 minutes after) I got was a good side dish too. I was just a bit bummed with the idea that I didn't get two sides. I wasn't really paying attention to the menu and just realized that I lacked one side while writing this blog. I thought that by two sides, Caesar salad counts as one. Overall, it was still a good dining experience. 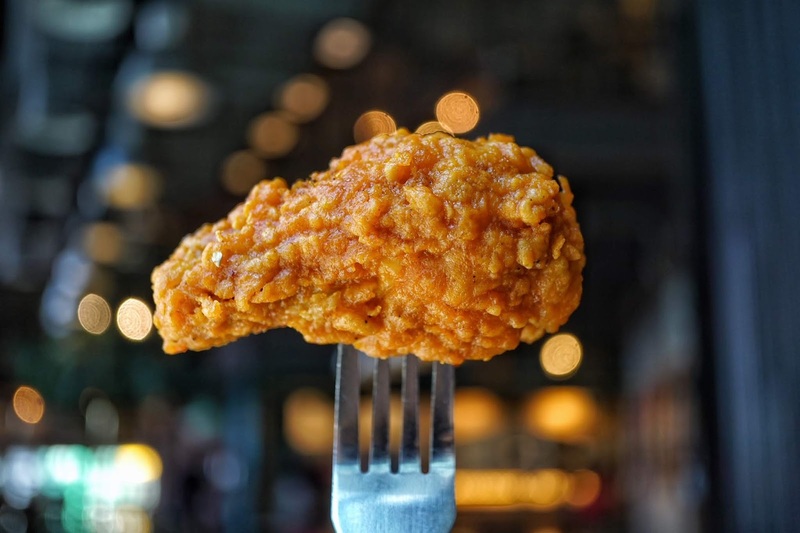 I discovered that I actually like buffalo wings. 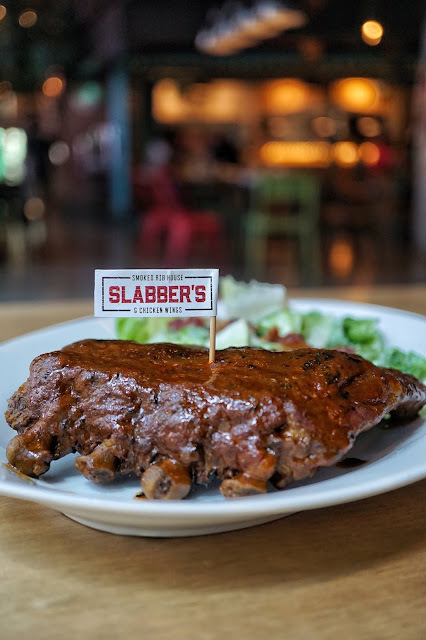 And for those who are fans of Slabbers, this ribs and wings joint will be offering beer soon and is working on opening in Eastwood before the year ends! Thank you, Earl and Ed of Slabbers for the treat! P.S. I just ate my leftover wings and the skin's still unbelievably crispy!!! Slabbers is located at Hole in the Wall, 4th Floor, Century City Mall, Kalayaan Avenue, Makati City.